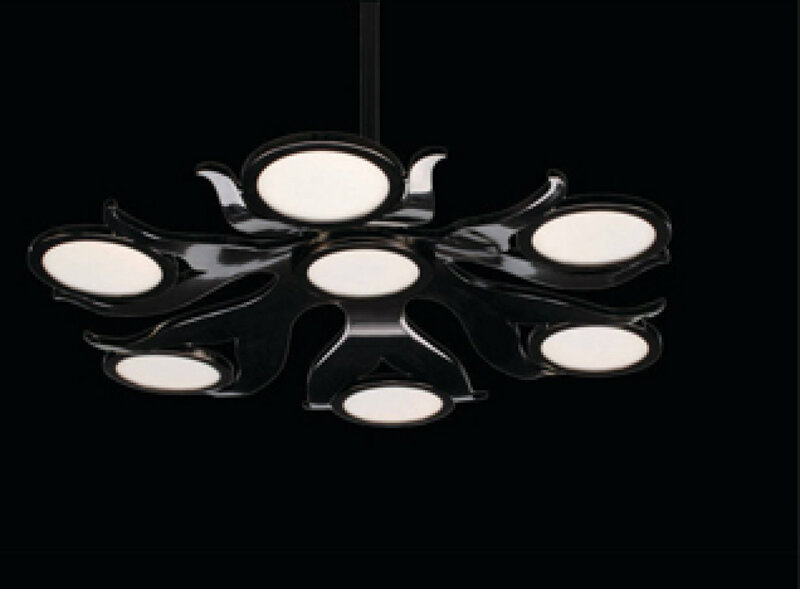 As first of its kind, the decorative luxury chandelier „Sōl“ utilizes white ORBEOS OLED panels as exclusive light source. Taking the sun as energy source for all life on earth element and inspired by ancient tribal symbols representing the sun, „Sōl“ is a piece of light sculpture showing playful and natural attributes at the same time. „Sōl“ embodies sophisticated design made possible with advancements in a new lighting technology, thus it is writing a new chapter in the evolution of light. 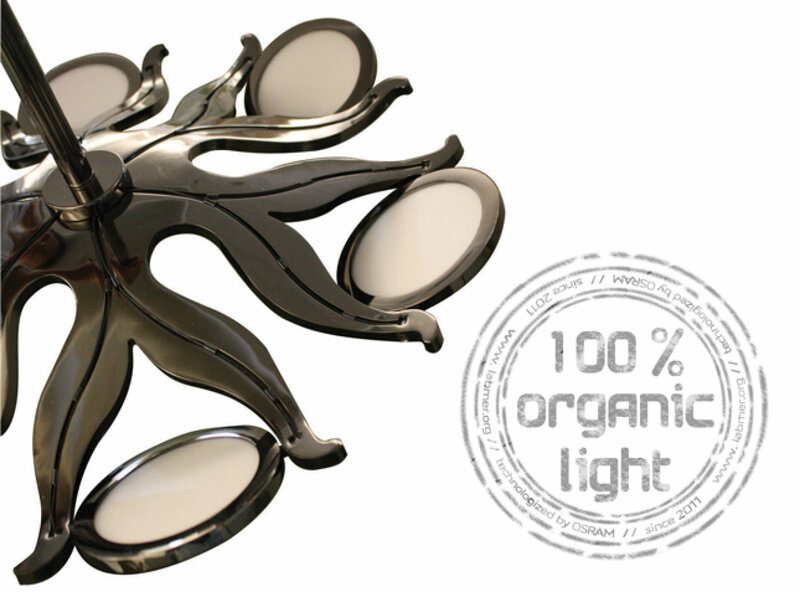 The luminaire is an expression of true sustainability with organic light sources which are energy efficient and do not contain harmful substances such as mercury. “Sōl’s” remarkably thin panels are adjustable for up or down light levels enabling various lighting conditions, e.g. ideally customizable for a dining room table situation. New York City based lighting company WAC Lighting presented this remarkable chandelier in March 2010.